What will you make of today?! I so want this tattoo!! Would it not look amazing! 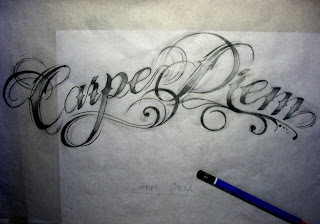 I love these two words, 'Carpe Diem'. I live my life by them and do my best to make the most of every day, of every moment of my life.